With the arrival of Summer (sort of) here in the North, little feet are going in and out of the front door all day long to collect scooters, tricycles, buckets and spades.....a doormat is therefore essential, but they're often so boring aren't they? 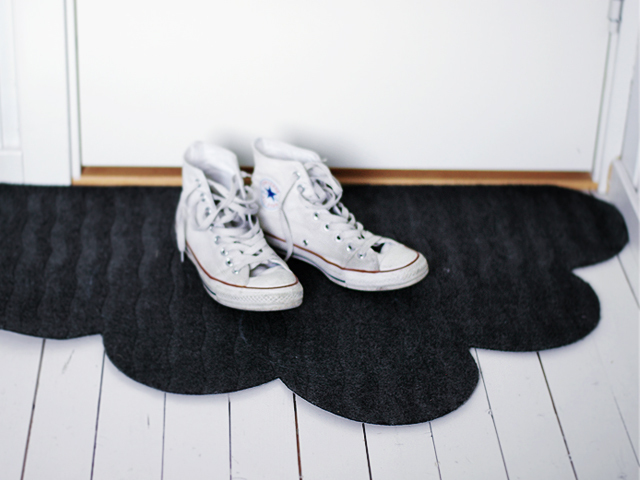 I was so excited to come across this very cool cloud shaped DIY door mat by Shine Design. It's cool, cheap and quick to make! Genius! Here's how to make it: buy a door mat like the Lynäs from IKEA. 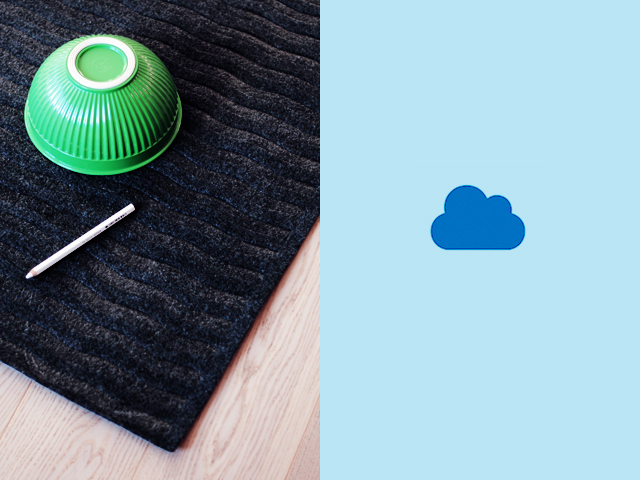 Find a cloud shape you would like to replicate and use a bowl to draw around to recreate the shape on the doormat. Cut out with a pair of scissors! Something for your hallway perhaps? PS I love hearing about DIY projects for the home, if you have any you would like to share please send me an e-mail at myscandinavianhome@gmail.com.